Burst of clean flavors in a bowl! 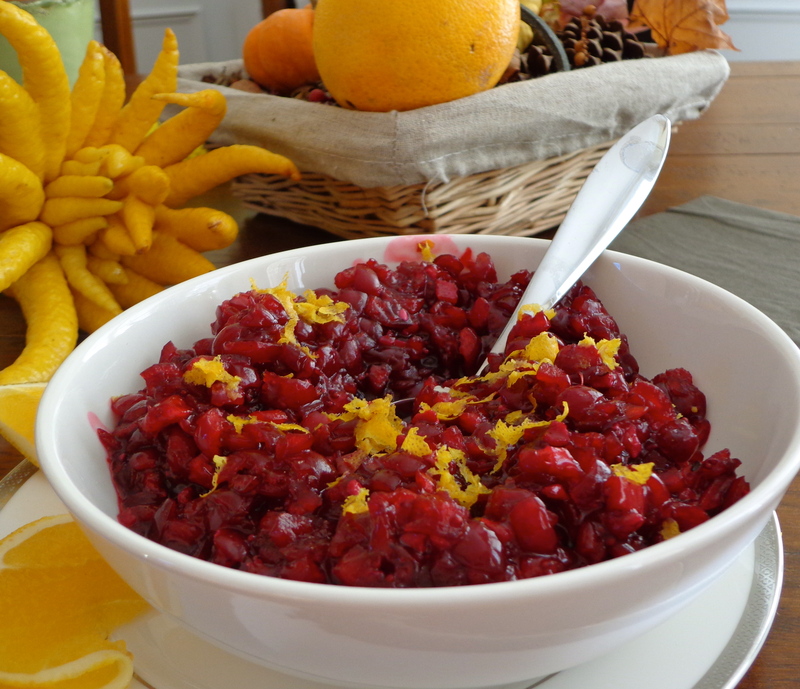 It’s not Thanksgiving to me without this super fresh and colorful cranberry sauce, it is such a great addition, that marries extremely well with turkey or any other meat dishes. It keeps its freshness for a long time, if refrigerated in a airtight container, at least one week, and can be done 2 days ahead! A wonder.. Choose a ginger root that is hard and heavy, with unbroken thin skin, light colored smooth and shiny. Peel it just when needed with a vegetable peeler or work with pairing knife. 1 navel orange preferably organic, scrubbed and cut in segments. Clean orange skin, then cut orange in small chunks, remove any seeds. Prepare the juice. In a medium saucepan over medium heat, combine cranberries, sugar, ginger and cook for bout 7 to 10 minutes, stirring occasionally till cranberries burst. Add a cup of water, stir in orange and juices, cook for 4 more minutes till sauce has thickened. Let it cool well. Pulse once or twice in a blender or food processor if you like a smoother sauce. To serve, top with orange zest and garnish with thin orange segments. Happy Thanksgiving!! in advance ….